People often associate the word ‘clownfish’ in Pixar’s animated movie Finding Nemo. He is the cute little fish who caught the attention of different viewers across the globe because of his splashing story with his father Marlin. The movie left positive and negative remarks to people infusing awareness about the life of a clownfish and influencing those who seen the film to keep them as an aquarium display. Parents should explain to their children that clownfish is not meant to be kept. 1. The color of their scales varies from orange, yellow, and maroon- orange being the most common. 2. They are all born male and can eventually switch gender-protandrous. 3. Clownfish and Sea Anemones compliments each other-symbiotic process. 4. They guard the anemone from impending predators. 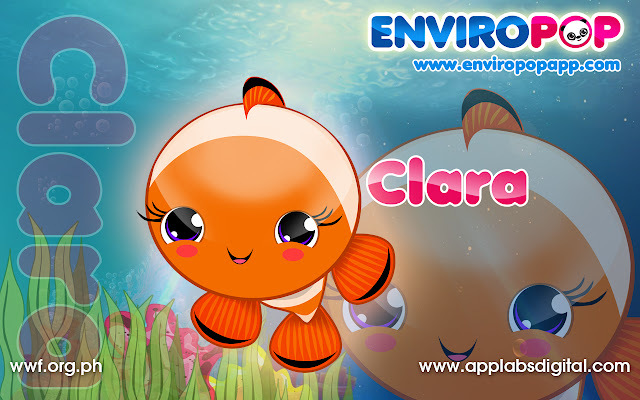 We need to save Nemo, Clara the Clownfish, and other sea friends from serious threats. Risking the lives of these aquatic animals must be prevented. Applabs Digital Studios Inc. and World Wide Fund for Nature’s moves forward in rescuing the sea through the good use of a game application called EnviroPop. The brains behind the latest trend designed an application that will encourage people to take part on an environmental cause. All proceeds of the game will be given directly to WWF-PH, the support team that will save lives down under. 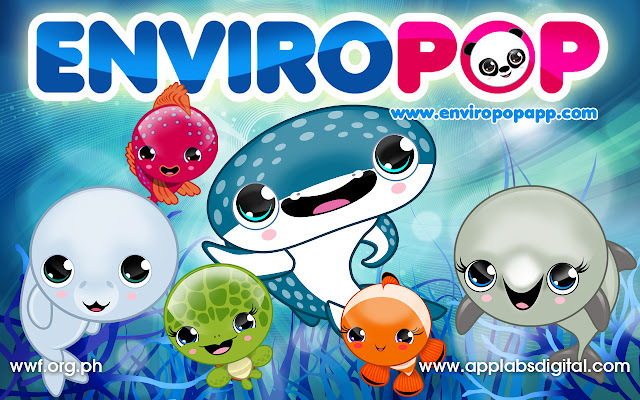 Imagine the help you can give in our marine life if you download EnviroPop? Stop catching Nemo, Clara or any of their friends but learn from them instead. Let us move forward in pushing marine conservation together. You may check the Full or Lite version of EnviroPop in the App Store now! Click to check the app out on iTunes by clicking here. Agen Bola Terpercaya Cityholidaybet Reported - David Luiz has apologised "to all Brazilians" for the humiliating 7-1 defeat to Germany in the World Cup semi-final in Belo Horizonte. Brazil's dreams of winning the tournament as hosts were smashed as they slumped to an embarrassing defeat. Germany blew Luiz Felipe Scolari's men away as they took a 5-0 lead in the first half before sealing the emphatic 7-1 scoreline after the break. David Luiz, who was named captain in the absence of the suspended Thiago Silva, could only offer an apology at full-time for an abject personal and collective performance. "I just wanted to give some happiness to my people. To my people, who suffer so much already," Luiz told Rede Globo. "Unfortunately we couldn't do it. I'm sorry, everyone. Sorry to all Brazilians. I wanted to see my people smiling. "Everyone knows how important it was for me to make the Brazilian people happy, even if just because of football." Agen Bola Terpercaya Cityholidaybet Reported - Miranda has insisted he has no desire to leave Atletico Madrid this summer, despite rumours about a possible transfer. The Brazilian centre-half has been linked with Manchester United and Barcelona in the current transfer window, with both clubs known to be keen to bolster their defensive options. However, it appears that the 29-year-old, who made 32 league appearances as Atletico clinched their first Liga crown since 1996 last season, will remain at Vicente Calderon. "Don't worry, I'm staying," he was quoted as saying by Marca, despite previously claiming to have received offers from Premier League and La Liga sides. However, while Miranda appears to be content to remain with Atletico, Filipe Luis, who has been linked with a move to Chelsea as long-term replacement for new Roma signing Ashley Cole, was less certain on his own future. "We'll see what happens," the 28-year-old said when asked if he was likely to leave. Leading Agen Bola indo11.com highlighted, West Brom bring in Porto winger Silvestre Varela with 26 international caps to his name on a season-long loan. With the signing he becomes the 10th new arrival at The Hawthorns since the end of last season after passing a medical. Head coach Alan Irvine said: "Silvestre is a vastly-experienced player, both with Porto and his national team, and I'm delighted we've managed to secure his services." He added: "He's got pace and power, gets his fair share of goals and is also a creator of chances for others. He's a fantastic addition to our squad." Trustworthy Agen Bola Indo11.com revealed, Sunderland head coach Gus Poyet remains confident Manchester United will finish in the top four despite another lacklustre showing, believing Van Gaal will ultimately find the right formula and spark a turnaround. The coach said: "Yes, because [Marcos] Rojo [who missed out against Sunderland as he has not yet received a work permit] has been added and they will still spend more money. I know Van Gaal very well and if you give him time he will achieve what he promises. I have no doubt." He added: "I am so pleased he had a very good first half because everybody knows why I was so consistent in trying to get him. He was electric, direct and he will do plenty of things. We have to be patient with him but he showed why he is here." Tottenham boss Mauricio Pochettino expects the creative freedom given to his playmakers reaps rewards this season, feeling that giving his attacking players the freedom to express themselves has been crucial. Agen Bola Terpercaya Cityholidaybet Reported - Manchester United striker Robin van Persie insists he can't wait to play alongside the club's expensive new arrivals. A frantic end to the transfer window also saw United sign Colombian star Radamel Falcao on a lucrative one-year loan from French side Monaco. Such was the flurry of arrivals that only Di Maria and Herrera made their Premier League debuts before the international break, with Shaw not yet fully fit and Rojo unable to obtain a valid UK work permit in time. "I can't wait to go and train and play with the world-class players we have signed – wow," the Netherlands international told reporters. "For me personally, it's brilliant to go and play with some of the best players in the world. It's great that I can go and train and play with them every day." Agen Bola Terpercaya Cityholidaybet Reported - Italy head coach Antonio Conte has insisted that the national set-up are not at war with Juventus over the early withdrawal of defender Giorgio Chiellini. Azzurri team manager Gabriele Oriali hit out at the Serie A champions for recalling Chiellini, whose injury had ruled him out of both matches in the international break but who had been set to stay with the squad. Juventus defended their decision and questioned Italy's response to their actions, but Conte has opted to end the back-and-forth sniping by stressing that Italy and his former club are trying to get along. "With Chiellini has resulted this episode, we will need to use this experience to better handle these situations next time, both on the part of ourselves and on that of Juventus," Conte told reporters on Monday. "Any consequences to this case? With Juve there will be no problems, it is right that is a spirit of collaboration [between clubs and the national team] if we want to achieve something important." Agen Bola Terpercaya Cityholidaybet Reported - Crystal Palace manager Neil Warnock believes Wilfried Zaha's move to Manchester United came too soon and stunted his progression. The winger moved to Old Trafford last summer from Palace, but made just two substitute appearances in the Premier League before a loan move to Cardiff City in January. Zaha has now re-joined the Eagles on a similar temporary spell, pitching in with a goal and an assist in three games, and Warnock feels the increased levels of coaching now available to him are reaping rewards. "Wilfried has got to learn one or two things," he told reporters. "He's gone to a massive club early in his career where you don't get a lot of coaching and I think that's what he needs." Agen Bola Terpercaya Cityholidaybet Reported - Cesc Fabregas insists he draws more pride from Chelsea's stylish attacking football than his own personal tally of goals or assists. The Spain international notched his first Premier League goal in a blue shirt in Saturday's 2-1 win over Crystal Palace at Selhurst Park to add to the seven assists already to his name this season - the best total in the division. But Fabregas insists it is the increasing chemistry he shares with Eden Hazard and Oscar - along with the impressive nature of Chelsea's all-round performances this season - that pleases him most. "I like to play this kind of football, and Eden and Oscar do as well, and the three of us connect very well and that goal showed well the qualities of the whole team," the former Arsenal captain told the club's official website. "Now I am playing deeper in midfield there will be moments during the season when maybe I go five or six games without a goal or an assist, and I am more proud about the team work, the discipline, the way we coped with the sending off, than my goals or my assists. I give those to other people to talk about." Agen Bola Terpercaya Cityholidaybet Reported - Roberto Martinez hailed the impact of Ross Barkley and labelled the 20-year old a “diamond of a footballer” after he helped drive Everton to a 3-0 victory over Aston Villa at Goodison Park. The Liverpool born star laid on an assist for Romelu Lukaku’s second half strike and his forward driving runs troubled Villa all afternoon in a hugely impressive return to first team action. The game was Barkley's first appearance of the season after damaging knee liagments in training in August and Martinez was full of praise for the youngster. “Sometimes you ask yourself if he was born to play football. As human beings you’re not born to kick a ball but he looks more natural with the ball than without it. He was phenomenal," he told reporters. Berita Olah Raga Terbaru dari Agen Bola Cityholidaybet –Striker Inter Milan Mauro Icardi,mulai merasakan perbedaan gaya kepelatihan yang dipraktekkan Walter Mazzarri dan Roberto Mancini. “Bersama Mazzarri kami selalu bekerja setiap harinya ketika kami melakukan kesalahan dalam pertandingan,dan dia ingin para pemain dan staff meningkatkan pada aspek yang dianggap membuat kesalahan itu,”ungkap Icardi. “Bersama Mancini,saya yakin tidak akan jauh beda.Tapi dia menekankan tim harus bersatu di lapangan.Sementara kami juga harus berkembang dengan sendirinya,dengan bantuan dari staff pelatih,”tandasnya. Berita Olah Raga Terbaru dari Agen Bola Cityholidaybet – Nicolas Burdisso pemain bertahan Genoa, mengungkapkan bahwa menurutnya keahlian yang di miliki Luis Enrique tak bisa diragukan lagi, karena ia meyakini bahwa mantan pelatihnya tersebut ketika masih bersama-sama di Oliympico itu mampu membawa Barcelona menjadi tim hebat. "Ia adalah seorang pemimpin, yang tidak punya pemain favorit dan memperlakukan semua orang dengan cara yang sama. Ia senang melakukan dialog, terutama dengan saya, Totti. Saya yakin metode tersebut akan bekerja dengan baik di Barcelona, karena mereka punya banyak pemain hebat," tutur Burdisso pada Marca. "Ia selalu memperhatikan semua detail dan memperhatikan tiap lawan. Saya pikir ia akan menjalani karir yang bagus di Barcelona. Jangan lupa bahwa sebelum pertandingan melawan Real Madrid, mereka belum kemasukan gol sama sekali. Tak lama lagi, kita akan melihat yang terhebat dari Barca," pungkasnya. Berita Olah Raga Terbaru dari Agen Bola Cityholidaybet – Joan Gaspart mantan presiden Barcelona, menyakini mesin gol milik Barcelona Lionel Messi akan mengakhiri karir sepakbolanya bersama klub. Seperti yang diketahui masa depan Messi belum lama ini menjadi pembicaraan hangat di publik, usai ia sempat menyatakan ada kemungkinan bagi dirinya untuk tak mengakhiri karir di klub yang bermarkas di Camp Nou tersebut. "Messi sudah menegaskan bahwa ia ingin bertahan. Saya yakin ia akan mengakhiri karirnya di klub," tutur Gaspart singkat, menurut laporan yang diturunkan oleh Sport. Agen Bola Terpercaya Cityholidaybet Reported - Hull City believed to be ready to break the lending period Hatem Ben Arfa in the January transfer window and return to Newcastle United. This is confirmed by the appearance of the news that Ben Arfa has now been returned to France to improve his physical condition is declining in this season. Hull manager Steve Bruce said he was surprised by the news and hinted career at the KC Stadium Ben Arfa is up. Ben Arfa, who borrowed Hull for a year, last performed in the last week in which he was replaced in the first half as the Tigers a 3-0 defeat of Manchester United. French midfielder was also rumored to be leaving Newcastle after his contract runs out at the end of this season. Agen Bola Terpercaya Cityholidaybet Reported - Juventus defender Patrice Evra admits, a 1-1 draw cons Sampdoria in Serie A Italy, Sunday (14/12) night, far from satisfactory. The French left-back opened the scoring for the Bianconeri in the 12th minute, but the visitors could have equalized in the second half Manolo, precisely at minute 51, through the action of Manolo Gabbiadini. With this draw, the club is still on the top of the standings with 36 points, but they are only one point ahead of the runner-up, AS Roma. "We have to win in the next game," said Evra told reporters after the game. Agen Bola Terpercaya Cityholidaybet Reported - Louis van Gaal tosses praise on David de Gea after Manchester United's victory over Liverpool on Sunday (14/12). Van Gaal said "I think we've scored a great goal. We also keep the game very well. In addition to these goals, we also attacked several times. It happened when we were doing the wrong bait, seeing this; we still have to evolve,"
"You could say that there are some of the most influential players in a game, and of course David De Gea had a great influence. He played very well," he concluded. United currently sit third in the Premier League after bagging six-game winning streak.